Glutino Gluten Free Pantry Brownie Mix — Glutino bought Gluten Free Pantry and the mix is supposed to still be the GF Pantry one, which was excellent and very close to the Ghirardelli gluten-full mix (which used to be my favorite). Wholefoods carries this. 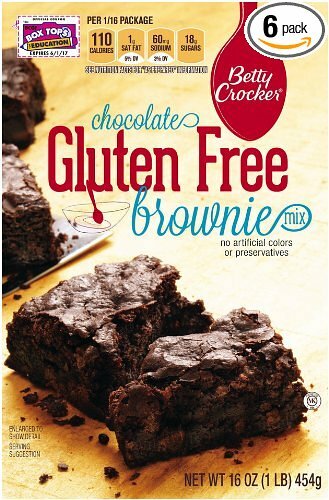 Betty Crocker Gluten Free Brownie Mix — Next best after GF Pantry, but more readily available. Many grocery stories carry this line. I have never found a gluten free cake mix that was okay without doctoring it. All of them require something. The Betty Crockers, at least, are simple. I really dislike the Bob’s Red Mill mixes. Most of them are garbanzo bean based, which is a strong and unpleasant flavor for sweets. Most mixes have corn starch. Trader Joe’s mixes are mostly from Bob’s Red Mill. So, I avoid them. Jovial Organic Brown Rice Capellini — the only gluten free capellini I’ve liked. All their pastas are good. Wholefoods carries this brand. Schar Gluten Free Anellini — pasta for soup. I use these in place of pastina or acini di pepe. All their pastas are good, but they do have corn (if you’re not avoiding corn, no worries). I’ve seen Schar products at Safeway,Wholefoods, and Nob Hill. But very inconsistent selections. Conte Cheese Ravioli (frozen) — you can order these online, but don’t. Link is only for reference. Wholefoods and some Safeways carry this. Under cook by at least one minute, if you don’t want it falling apart. They have other great frozen pastas. Schar Chocolate Hazelnut Bars — BEST gluten free chocolate wafer cookie out there–by a long shot. I’ve only seen this at Nob Hill or online. K-Toos — best oreo equivalent (most taste like cardboard, this tastes like cookie). Best dipped in milk. Trader Joe’s Gluten Free Crispy Crunchy Chocolate Chip Cookies — similar to Nantuckets. I like these better, though. Glutino Lemon Wafer Cookies — these are great. Avoid the chocolate ones like the plague. Many stores carry these. Udi’s gluten free sandwich bread — take your pick of flavor, but remember to toast the bread. All gluten free bread is better toasted. Lots of grocery stores carry this. 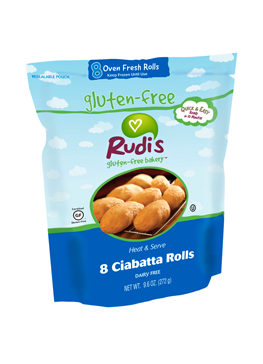 Rudi’s Gluten Free Ciabatta Rolls — I’ve only seen these at one Safeway in Mountain View, but they are far and away the best dinner roll I’ve found. Again, toast them. They are actually the best gluten free bread I’ve found of any kind. And… there are more, but that’s it for now. I’ll try to do another post continuing the list. It’s after my Wednesday evening acupuncture session, and I’m trying to explain to my acupuncturist that, while I’d really like to take the herbs she’s giving me, I need to make sure there isn’t any gluten in the pills. I kinda figured this would be problematic. Her English is good enough for most things, but there have been times when she’s had to call in the man working the front desk to translate (I’m assuming he’s an acupuncturist in training, because he seems to know his stuff pretty well). In this case, he was at a loss, too. Crazy busy at work (which I love since I’m getting to work on character development and standardizing regional dialects). But. 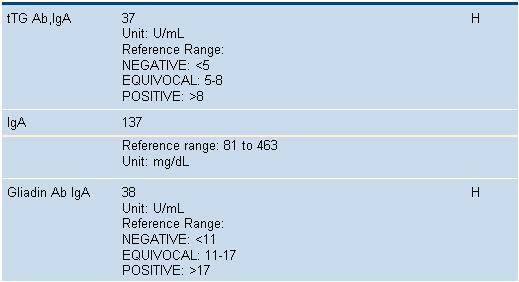 I’d meant to include some screencaps of my celiac test results in my last post and forgot to. After three months on gluten. The tTG is the one I consider most important, and I had a score of 37; anything above 8 is considered positive. I don’t know which one my doctor considers most important, but since two are clearly positive that’s not really a problem. As positive test results go, these are not particularly high. 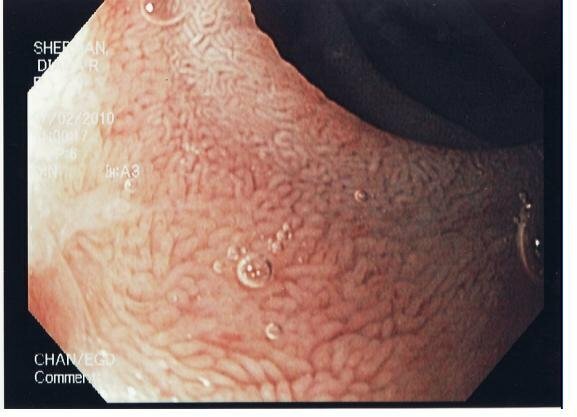 Remember, this is what your intestines are supposed to look like. Kinda like a fuzzy blanket. Or coral. The villi are what absorb nutrients from food. You need them. If they’re damaged, your entire body suffers. You develop vitamin deficiencies. You may always be hungry, because your body isn’t getting the nutrients it needs. 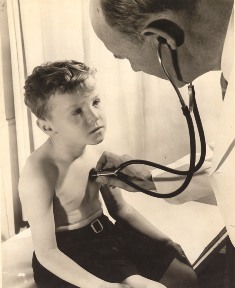 Any condition that can be caused by malnutrition… you’re at risk. 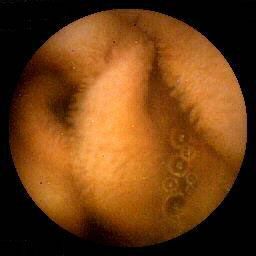 If your villi aren’t working correctly. 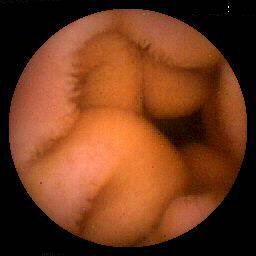 This is your intestine on gluten. To that end I’m asking for suggestions of what to try. 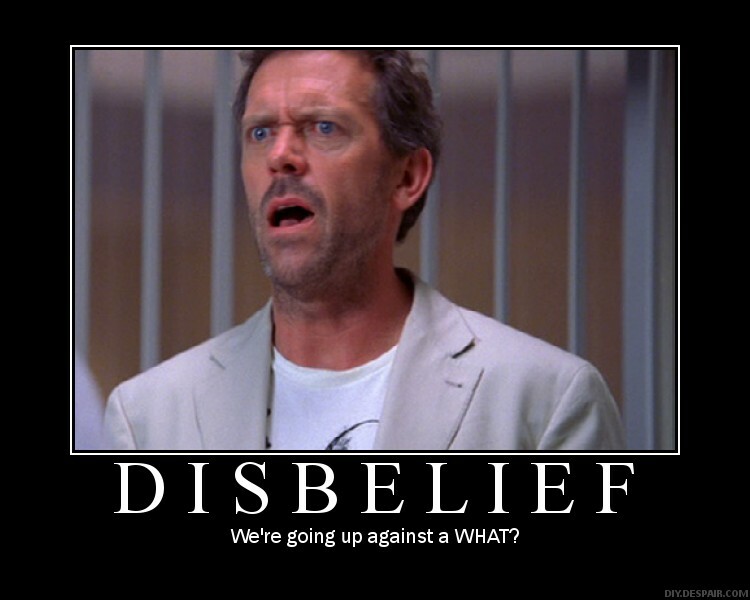 The doc I wrote about meeting several weeks ago is… well… either he’s a flake or an idiot. I think I’d prefer thinking he was just a flake. I will only post recipes that are my own, are public domain or creative commons, or that I have changed so much that they would be considered new recipes. I won’t post recipes from cookbooks, because, aside from the issues of copyright or intellectual property, I like encouraging folks to buy good cookbooks. The more gluten free cookbooks that sell, the more that will get published. The more that are published, the easier it is for my family to find holiday presents (I am apparently hard to shop for). 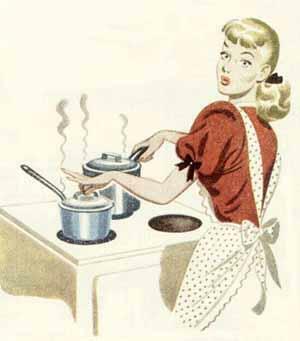 I will, however, link to cookbooks and online recipes, and provide reviews of those. I must note that I actually do not like croissants. I have never liked croissants. That said, I love this recipe. The thing with most gluten free recipes is that they often turn out denser than the original gluten-full version. In this case, that worked to my advantage. This recipe is insanely rich and makes a brilliant pastry. I used it to make cheese turnovers and, I will admit, one chocolate turnover. 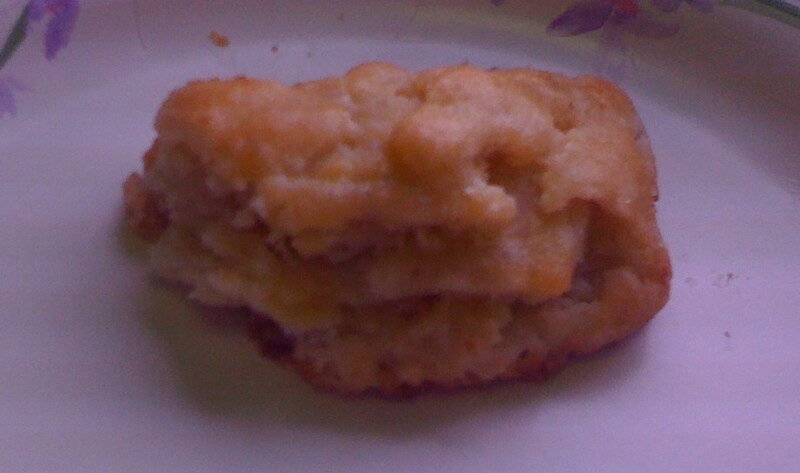 Simransmiles, who told me about this recipe in the first place, used it to make an apple turnover. I suspect it would also make great hamantaschen, if I can ever remember when Purim is. Upon first glance, I was intimidated by the process, but it’s actually a lot less hassle than I’d feared. Plan to make the dough on one day and do the rolling and baking on another. In addition to letting you chill the dough overnight, it also makes each step feel simpler. When the dough warms (which it will do while you’re rolling it) use an ice pack on top of the upper layer of parchment paper. Just don’t leave the ice pack so long that condensation begins to gather and wet the parchment paper. Be okay with getting butter on your hands. Although I froze the butter both before and after grating it, it clumped up and I had to break the clumps into smaller pieces for rolling out the dough. (This may also be due to freezer suckage, so YMMV). If you have a food processor, and it has a grater attachment, use it. It is a blessing. For the flour mix, I used Arrowhead Mills Gluten Free All Purpose Baking Mix, which worked just fine. I suspect you can make these more properly croissantish if you role the dough thinner than I did. Each quarter of the dough should be approx. 700 calories, taking into account the rice flour and grated butter used during rolling. I overdid with the grated butter on that first batch, which is why I put in a range above. The Elimination Diet is by far the hardest, and most effective, diet I’ve ever been on. The point of the diet is to isolate food sensitivities and allergies (not the same thing). And it is brilliant for doing that. It also, as a side effect, is brilliant for weight loss. 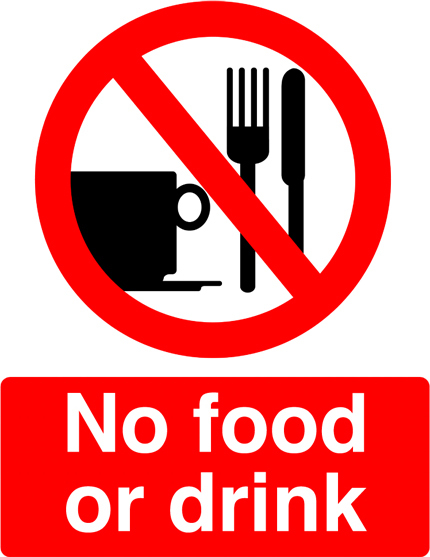 I went on the Elimination Diet in November of 2008 as a result of a visit to the Crazy Docs. And when I say crazy here, I don’t mean they were psychiatrists. They were nutritionists and they were very eccentric. Hence, the Crazy Docs. 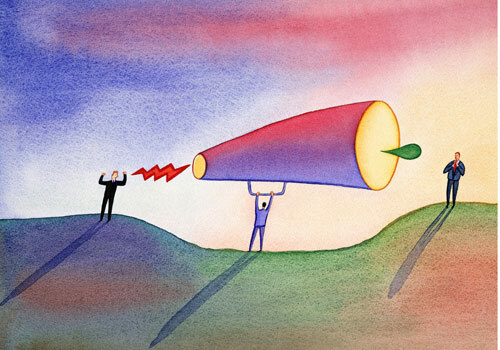 A friend had recommended them to me, saying they’d helped her with problems similar to the ones I was having at the time: fatigue, brain fog, and sudden weight gain. Add in, in my case, constant allergic rhinitus, hormonal irregularities, and frequent bronchitis. Sounds like a party, no? Their answer was the modified Elimination Diet. Their suspicions was gluten sensitivity, or full blown Celiac Disease. I did not realize, at the time, that this was actually their answer to everything. In my case, it turned out they were right. 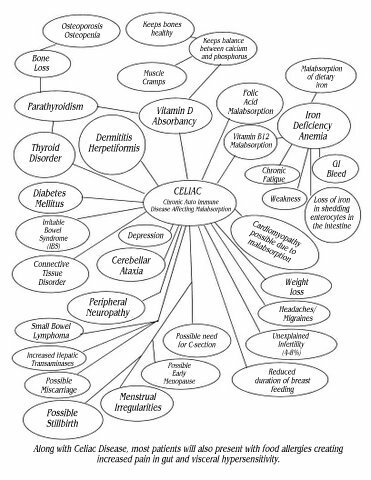 (I will talk more about Celiac Disease and gluten sensitivity in a future post). Everything that's not allowed on the diet. That’s a pretty big list of things you can’t eat. Add in the complication of eating out, and you’re totally (pardon my language) screwed. Citrus, for example, is problematic. A surprising number of people don’t realize that lemons are citrus. Vinegar is in most condiments: mustard, ketchup, mayo, salad dressing. And try finding a satisfying dessert that fits that list. It’s not impossible, just hard. The Elimination Diet doesn’t stay that limited forever. The idea is to do it strictly for two weeks and then slowly start reintroducing foods. Each reintroduction takes three days. The day you eat the food and then two days following for it to get fully out of your system. If you have any problems, and I mean any, while testing a food, that food needs to be retested. Dairy shouldn’t be reintroduced until you’ve been on it for several months (I waited six months, and man was I happy to have it back). Gluten is last of all. It took me months to reintroduce all of those foods. And, honestly, I fudged on the last few. During that time, I lost nearly 20 pounds. In part because my food choices were significantly healthier, in part because there were so few foods I could eat. I did find some decent substitutes. Pure Decadence has a great coconut milk, agave sweetened, mango flavored ice cream. I also learned even the Modified Elimination Diet wasn’t actually limited enough. Mind you, thanks to the limited types of foods I could eat, it was a lot easier to isolate the real problems. Like tomatoes and potatoes. Turns out they give me eczema. Brussel sprouts = migraines. And anything with capsaicin is inimical to my existence. I am allergic to capsaicin. I just always avoided it instinctively, and never had much. I thought I was breaking out for quite possibly years. Turned out it was hives from spicy peppers and their kin. 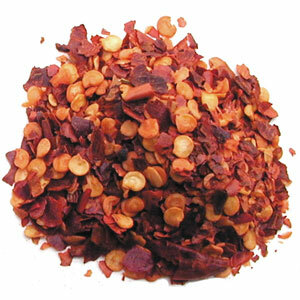 (For some reason, almost every guy I’ve dated seriously over the last seven years has really, really liked capsaicin). Ironically, aside from the gluten, everything I reacted to was actually on the list of allowed foods. If you’re interested, here’s a detailed list of the foods on the diet, including an annotated version on the second page: The Elimination Diet. The Elimination Diet improved my health. A lot.